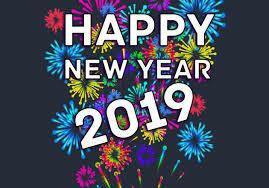 The team at AlaboutNothing wishes everyone out there in cyberland a very Happy New Year 2019 and we are optimistic that this coming year will be one the POTUS wished never happened. Follow your dream! Let NOTHING stop you. We have nothing else to add except once again, Happy New Year and stay safe. We also want to thank everyone for visiting this site and we send blessings out to all. A Happy New Year to you too Alaboutnothing!